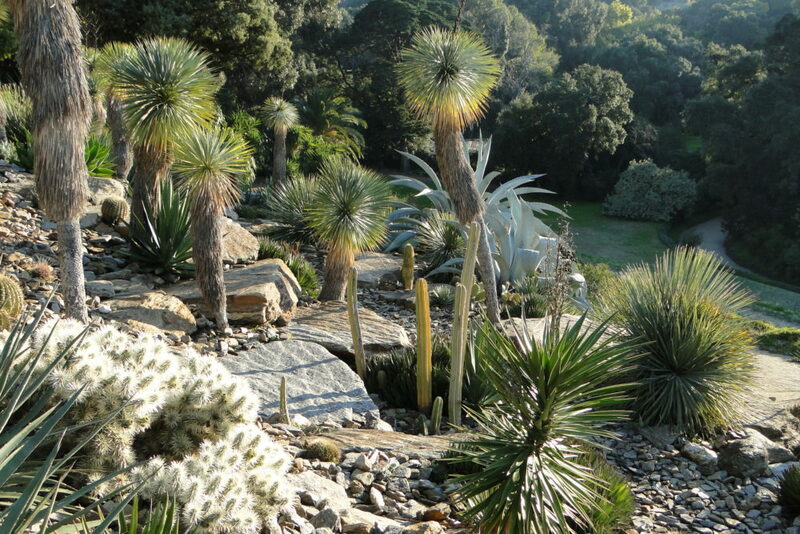 The Jardin des Méditerranées ‘plays host’ to another type of landscape, a neighbour of the Mediterranean climate of California. 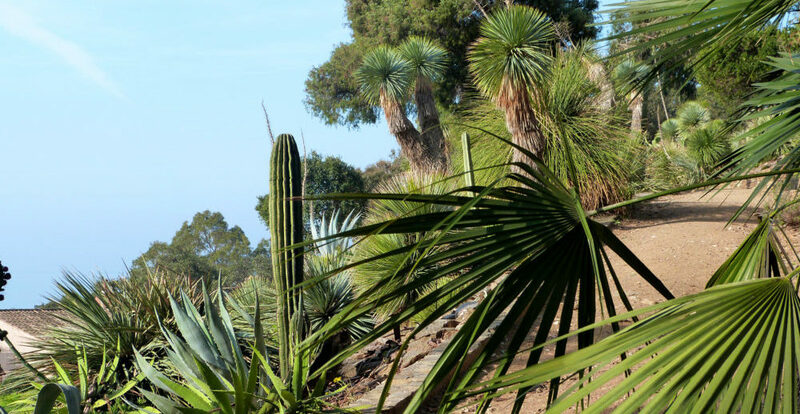 It is a landscape of succulent plants and cacti growing in arid climates in the south-western United States (Arizona, New Mexico, Texas and Nevada), and in north-western Mexico (Chihuahua, Durango, Sonora and Zacatecas). These regions are subject to a climate characterised by a long, hot dry season and low rainfall (less than 400 mm). 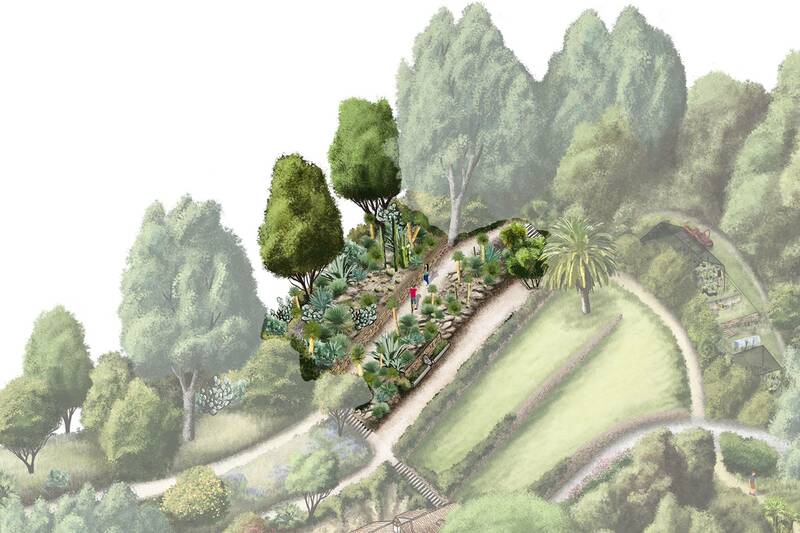 The vegetation represented is dominated by two botanical families: the Cactaceae and the Asparagaceae. The Asparagaceae are represented by agaves, furcreas, yuccas and dasylirions. The Cactaceae are represented by opuntias (Barbary fig or racket cactus), cereus and ball cacti. Cacti are particularly well adapted to drought, storing water in their stems and minimising their surface area to reduce evaporation. They are also very ‘prickly’ plants. Cacti’s water storage system lies in their thick ribbed stem which enables the plant’s body to expand and retract during periods of rainfall and drought. They have no leaves and a thick epidermis, in order to reduce their surface area and minimise evaporation. Their spines provide protection against animals, are a tool for capturing dew, and protect the epidermis against the heat of the sun, the drying wind and the cold of high altitudes. These plants are pollinated at night by bats and moths, again to limit evapotranspiration. 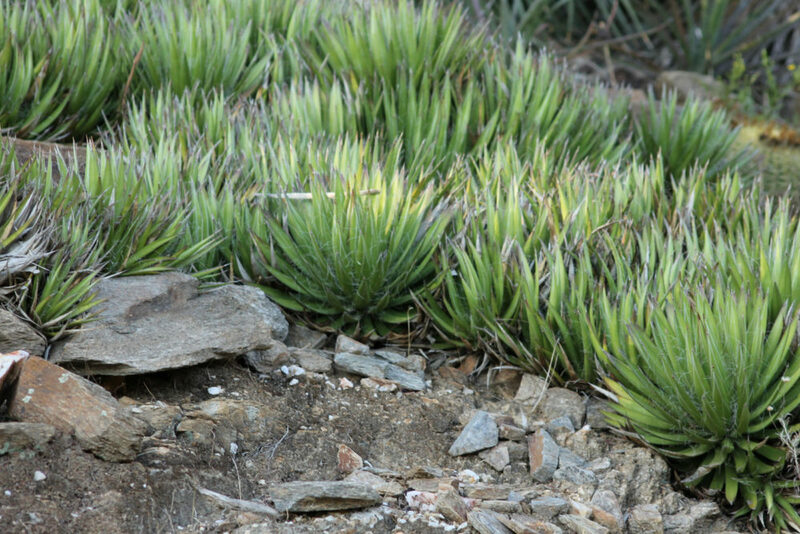 They live on very well-drained soils, on rocky mountain slopes with little vegetation. They are easily acclimatised to the Côte d’Azur, on a well-drained south-facing hillside. To form a rock garden, the soil should be covered with a mineral litter; this will draw in heat during the day and restore it at night.